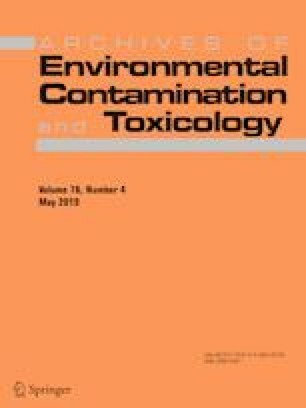 Environmental contaminants, such as the trace element selenium (Se), are a continuing concern to species worldwide due to their potential pathophysiological effects, including their influence on the stress response mediated through glucocorticoids (GCs; stress hormones). Environmental concentrations of Se are increasing due to anthropogenic activities, including the incomplete combustion of coal and subsequent disposal of coal combustion wastes. However, most studies examining how Se affects GCs have been focused on lower trophic organisms. The objectives of this study were to investigate the effects of long-term Se exposure on traditionally used stress parameters and to identify which of these parameters best indicate Se accumulation in liver and kidney of the American alligator (Alligator mississippiensis), a top trophic carnivore found in the southeastern United States and known to inhabit Se-containing areas. Alligators were divided into three dietary treatments and fed prey spiked with 1000 or 2000 ppm of selenomethionine (SeMet) or deionized water (control treatment) for 7 weeks. Following the 7-week treatment protocol, blood and tissue samples were obtained to measure plasma corticosterone (CORT; the main crocodilian GC), tail scute CORT, the ratio of peripheral blood heterophils (H) to lymphocytes (L) as H/L ratio, and body condition. To evaluate which parameter best indicated Se accumulation in the liver and kidney, principal component and discriminant analyses were performed. The only parameter significantly correlated with liver and kidney Se concentrations was scute CORT. Our results suggest that measurement of CORT in tail scutes compared with plasma CORT, H/L ratios, and body condition is the best indicator of Se-exposure and accumulation in crocodilians. The authors thank Ruth Elsey and her staff at RWR for providing alligators used in this study. Sharon L. Finger helped in transporting alligators from LA to SC. They thank members of the Tuberville lab, in particular Nick Bossebroek and Bess Harris, for assisting with the feeding, blood sampling, and dissections of alligators. Megan E. Winzeler was instrumental in keeping track of data on blood sampling days. Support was provided in part by Award Numbers DE-FC09-07SR22506 and DE-EM0004391 from Department of Energy to the University of Georgia Research Foundation and a Grant from the Area Closures Project to TDT. Additional support was provided by the IUCN Crocodilian Specialist Group Student Research Assistance Scheme to MTH. All experimental procedures were approved by the University of Georgia’s Institutional Animal Care and Use Committee.